Black, white and Gray: Civil rights attorney who once challenged Lipscomb University in court receives the Christian university’s highest honor (reporting from Nashville, Tenn.). Page 1 lead. NASHVILLE, Tenn. — Forty-five years ago, civil rights attorney and preacher Fred Gray filed a lawsuit that exposed deep divides between black and white members of Churches of Christ.The 1967 lawsuit challenged the transfer of more than $400,000 in assets from the closed Nashville Christian Institute — a school that trained hundreds of future black church leaders — to David Lipscomb College, a higher education institution with a history of racism. On a recent Friday night, that same Christian college — now known as Lipscomb University — presented Gray with an honorary doctorate of humane letters, the highest award the university bestows on an individual. 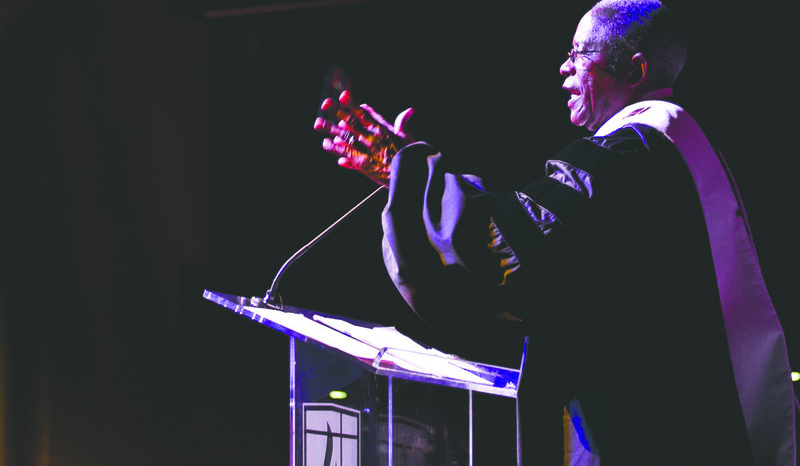 “It is not every day that you file a lawsuit against an institution and that institution later sees fit to honor you,” Gray, 81, told a crowd of 500 that witnessed the ceremony in Lipscomb’s Allen Arena. Who, Gray asked, would have thought such an honor would be possible for an Alabama boy who grew up in a shotgun house with no running water? Race and the church: How far have we come? (reporting from Nashville, Tenn.). Inside Story. Hashtag to heaven: Video series combines sacred text, tweets (reporting from Spring Hill, Tenn.). Second Front. Hey, campers: Let’s GO! change the world (reporting from Henderson, Tenn.). Currents. This post highlights my stories in the August 2012 print edition of The Christian Chronicle.